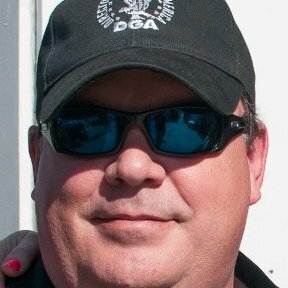 My friend Ron Singer of That’s Hollywood has been working as a UPM, Line Producer, Post Production Supervisor and Producer of indy feature films since 1998, after being an actor for 10 years. Known for such enjoyable fare as Free Enterprise (1998) with William Shatner, and The Specials (2000) with Robb Lowe, written by James Gunn (Guardians of the Galaxy, 2014), Ron is currently working on an ongoing slate of films with James Franco’s production company, including the upcoming Michael, starring James Franco, Emma Roberts and Zachary Quinto. Speaking as a writer, Ron has a fantastic ability to read a screenplay in progress, and with two or three words redirect the writer’s thinking to solve story or thematic problems. He’s also been phenomenally patient! As a Producer, Ron straddles the line between a creative focus and managing the business side of a production, with special attention to budgeting and making things possible. He is involved with packaging projects and negotiating distribution deals. Of course he also is in charge of hiring on many levels. I spoke to Ron about his start, and about what he looks for in the résumés that constantly cross his desk. What was the best piece of advice you got when starting out? That’s a tough one. Too many are smart-arsy comments. I want to take this seriously. How did you start as a producer? I started producing cable commercials, for various restaurants and other small businesses. This was while I was in college, and I was working in food service at the same time. My friends were producing music, and I had some background in acting and broadcasting, so that was a natural progession. Then my friend James [Coburn] talked me into taking a PA job on a film, in craft service. I learned how to carve a watermelon whale in that job. That was my first real feature job, and it went quickly from there. What do you look for when people send you a production assistant résumé? I look for clear direction coming from the applicant, as to what they want in their career. I look for spelling. I look for clear references. Yeah. Especially if they are emails I read the cover letter. What’s the worst piece of career advice you were ever given? I have a lot of clients who think they can keep sending out a one-size-fits-all résumé with a kitchen sink list of jobs they did on their student thesis projects. Any thoughts? What is most important is that it’s clearly focused on the position or department or interest that they are looking for. It’s easy to crumple them up. We get so many résume’s, so one thing that is really important is that it does NOT say, “Seeking rewarding position at your company” – because that is too wide open. And I see a lot of those. So do I! Thanks, Ron – direct from the horse’s mouth.